Hanoi (VNA) – Vietnam hopes for New Zealand’s cooperation and support in training personnel and enhancing capacity for judicial officials to meet international integration requirements, said Deputy Minister of Justice Le Tien Chau. 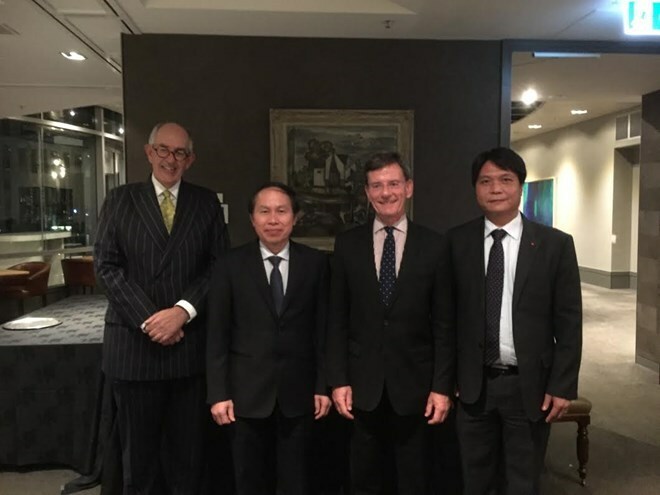 At a meeting with Attorney-General of New Zealand Christopher Finlayson in Wellington on April 24, Chau held that strengthening legal and judicial cooperation between the two countries will contribute to deepening the bilateral comprehensive partnership towards a strategic partnership. He noted that since Vietnam and New Zealand set up their diplomatic ties in 1975, the two countries have enjoyed fruitful cooperation in various fields such as politics, security-defence, trade, education-training, agriculture and people-to-people connections. Two-way trade increased 150 percent since 2009 to 1.15 billion NZD (nearly 800 million USD) in 2016. However, judicial and legal training collaboration have stayed limited, as Vietnam has only received scholarships from New Zealand through English language training programmes for public servants and senior leaders, he said. Sharing Chau’s opinions, Finlayson stressed the need for stronger bilateral legal and judicial ties, adding that cooperation activities in the field should start from legal training. As bilateral trade partnership is flourishing, the two countries should consider the signing of a legal assistance deal to build a coordination mechanism in settling trade disputes in a rapid and effective manner, he said. Speaking at the event, Ambassador to New Zealand Nguyen Viet Dung affirmed that the Vietnamese Embassy is ready to act as a bridge for the establishment and enhancement of legal and judicial partnership between the two countries’justice ministries, with priority given to collaboration programmes in personnel training, including those between the Hanoi Law University and legal training institutes of New Zealand.